It’s been a couple of weeks since I finished reading Angel Exterminatus, so I thought it about time I came here and wrote up some of my usual rambling thoughts about it!! I feel very much like I’m in the land of filler novels at the minute, with the last full-length novel in the series I read, Fear to Tread, being the same. It seems like there is just so much to cover, having such an extensive cast already, that the stories are becoming, not necessarily the same, but alike enough that it’s growing old already. And Angel Exterminatus is only book 23 of what we now know to be a 50-book series! This book is the first to properly feature Perturabo and the Iron Warriors, as we follow the legion during an action on the planet Hydra Cortadus (later seen in the novel Storm of Iron, of course!) The Iron Warriors are joined by the Emperor’s Children, who have all gone a bit weird since Perturabo last saw them, and Fulgrim stokes his brothers curiosity around gaining control of a fabled eldar super-weapon known as the Angel Exterminatus, from a planet deep within the galactic phenomenon known as the Eye of Terror. Perturabo is essentially duped by Fulgrim, who is attempting to rise to daemonhood through a ritual on this eldar croneworld – in order to get there, he needs Perturabo’s knowledge of labyrinths to navigate the hidden ways. Perturabo, for his part, is well aware that he is being used, but is nevertheless curious as to what is going on, so goes along with the charade but manages to stop Fulgrim’s ascendancy at the last minute. Both parties are in turn being stalked by a ragged band of Iron Hands, who also show up on the croneworld and all hell breaks loose. A lot of the Iron Hands shenanigans did feel a little bit like they were getting in the way of the main story, partly because it felt like these sections were lifted from another book entirely, so I’m not sure they were exactly needed for this one. But I suppose it does add to the confusion at the end. Overall, though, while a lot of work has gone into the character-building for Perturabo, I think there was a lot of chaff that could have been trimmed from this one. I’ve read of so many people claiming that this book is just so amazing, that I found myself initially let down by it. I usually enjoy Graham McNeill’s work, as well, which kinda compounded the problem. It’s not a bad book, don’t get me wrong, I think it’s just the issue of coming on the back of so much filler, because nothing really happens in this book it just also lapses into that category. We have a really intriguing character portrait of the Primarch of the IV Legion, as well as a continuation of the depravities of the III Legion, and it actually fits really well with McNeill’s earlier novel, Fulgrim. 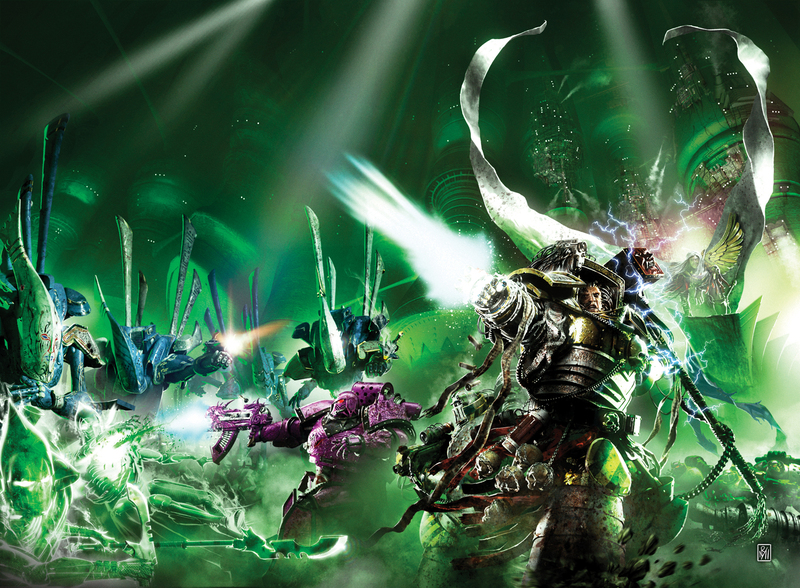 While Perturabo is definitely front and centre of the cover, the book is as much about the ongoing issues with the Emperor’s Children, and we see more of Lucius, Fabius and the Kakophoni. Julius Kaesoron also returns, which I thought was a nice touch, as it feels like he’s sometimes sidelined in favour of the other Emperor’s Children legionaries. At this point in the story, I feel like more needs to be happening to drive the overall narrative forward, and we’re just not getting that right now. What’s going on with Horus? He hasn’t properly appeared since the opening trilogy, and the odd cameo where he just glowers and rages isn’t really cutting it for me. I realize, however, that I’ve not been very good at keeping going with the Horus Heresy series, so I’m hoping that this year I can make some decent progress here. I’m going to aim to read up to The Damnation of Pythos, at least, and hopefully get to grips with the ongoing narrative. It’s a total of seven more novels (well, six and an anthology) so it’s not exactly impossible! From reading the backs of some of these novels, it sounds like there is a definite return to the story of the Word Bearers as architects of the Heresy, and – hopefully – we see a return to something like an ongoing storyline. Character studies are all fine and good, of course, but there is a significant part of me that is expecting more out of this series at this point! Previous Previous post: Blood for the Blood God!